Previous studies have consistently suggested that light to moderate alcohol consumption — in terms of amount consumed — is associated with a lower risk of diabetes compared with abstention in men and women. Heavy consumption is associated with a risk greater than or equal to that of abstainers. However, previous studies examining the role of drinking patterns (number of days drinking per week rather than volume) in relation to diabetes risk have given inconsistent findings, and studies on the effects of particular types of beverage are likewise inconclusive. Alcohol was also associated with an increased risk of breast cancerand ageing. 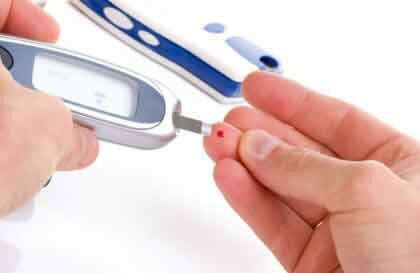 I would like to ask you, is there any beneficial effect of red wine in patient who are already diabetic? It it is there, how much in quantity? ref; text books of diabetiology.